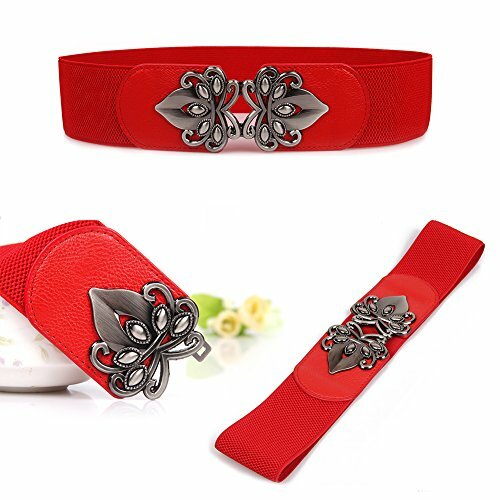 Fashion wide stretch waist belt, it’s necessary for each lady. 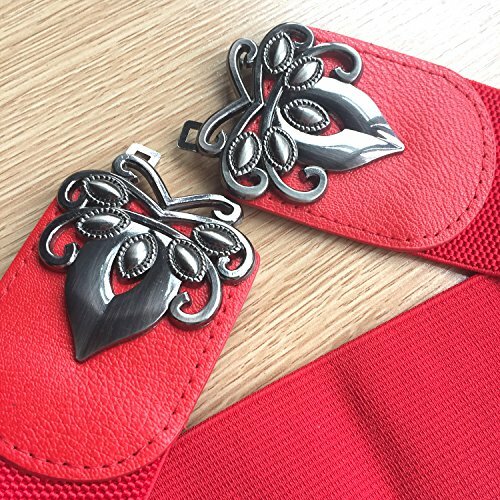 The belt will be a pretty decor for your clothing, and make you slim. You will be more charming and feel confident, cuz the belt will highlight your taste. – This elastic retro belt is a great match for any fashion style in any seasons. It is an absolute must have for the girls, teens or women with a passion for midcentury styles! The elasticized cinch belt fastens with a exquisite metal flower buckle and renders a perfect waist line. – Best style: High Stretchy, Wide. – Seasons: Spring, Summer, Autumn,Winter. – Match clothing: Dress;Tunic blouse; Other clothing. – Buckle style: Metal hook buckle. 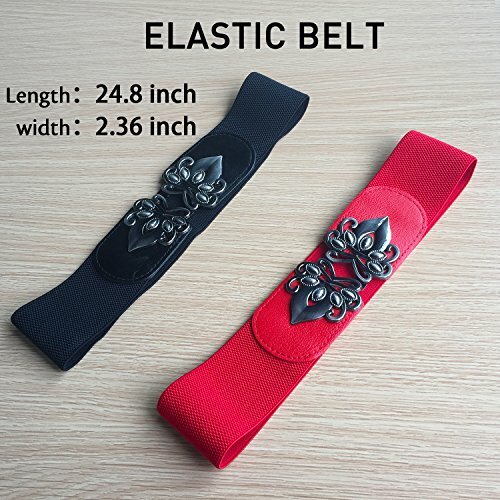 – Size: One size fits most people, 25 inches when relaxed and strong elastic stretch. – Color: Come with 2 pack waist belt: Black + red. Professional team to do professional brand, professional brand to create professional products! Welcome to experience professional services, you won’t regret the company in your daily life. May you a happy shopping!Material – Our waist belts are made of elastic material(70% polyester+20% spandex+10% Imitation leather) + alloy. 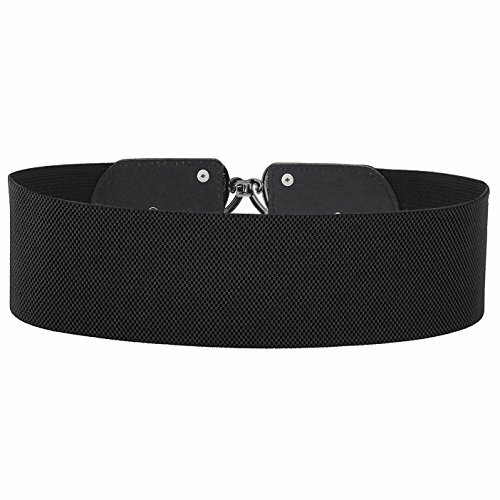 Design – This cinch belt designed with interlocking buckle. It is convenient to wear and take off. Size & color – One size fits most people, 25 inches when relaxed and strong elastic stretch. Color: Come with 2 pack waist belt: Black + red. Best value – This elastic retro belt is a great match for any fashion style in any seasons. It is an absolute must have for the girls, teens or women with a passion for midcentury styles! 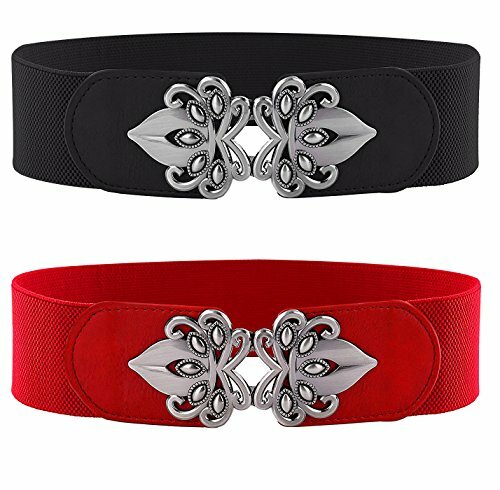 The elasticized cinch belt fastens with a exquisite metal flower buckle and renders a perfect waist line. Risk free – If you are not satisfied with your elastic waist belts,contact us any time,we will get you back within 24 hours try our best to make things right.